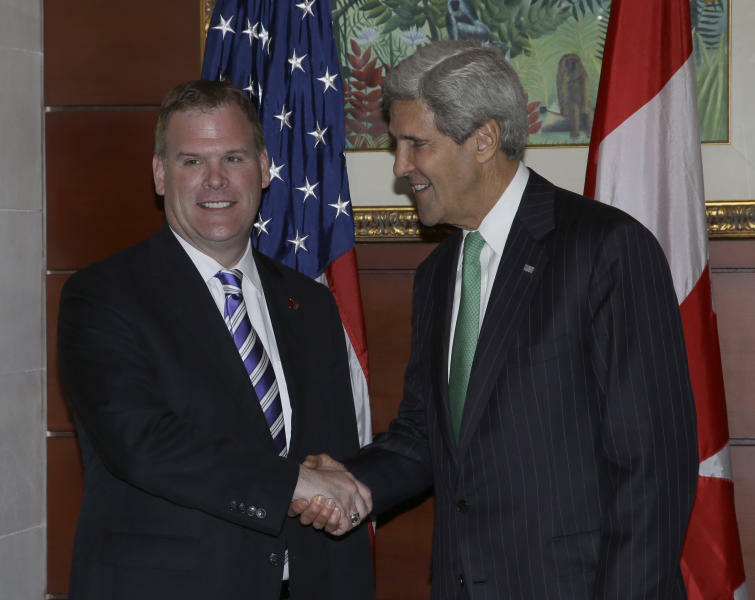 BALI, Indonesia (AP) — U.S. Secretary of State John Kerry warned Congress on Saturday to think "long and hard" about the negative message that the partial government shutdown is sending around the world, even as he disputed the perception that the deadlock in Washington is a sign of weakness. The seemingly contradictory points underscored one problem the Obama administration faces as it tries to convince lawmakers to end the shutdown: arguing that it hurts the national security interests of the United States and its friends while at the same time telling nervous allies that it does no such thing. "I believe that those standing in the way (of a resolution) need to think long and hard about the message that we send to the world when we can't get our own act together," Kerry told reporters on the sidelines of the annual Asia Pacific Economic Cooperation forum on the Indonesian resort island of Bali. "End it now, end it today," he said. Kerry noted that security assistance to critical allies like Israel may be affected and that the Treasury Department's Office of Foreign Assets Control, which oversees sanctions on rogue countries like Iran, may be forced to furlough nearly all its staff. Yet, Kerry also made the case that shutdown would do nothing to reduce America's global economic, military or diplomatic strength and delivered a firm rejoinder to any nation that might try to take advantage of a temporary "moment of political silliness." "There are momentary disruptions and momentary disruptions always have the ability to have an impact," Kerry allowed. "There is an opportunity for mischief." But, he maintained that "we will continue to fulfill our responsibilities and engagement around the world." "To all of our friends and foes around the world: Do not mistake this momentary episode in American politics for anything less than a moment of politics or anything more than a moment of politics," Kerry said. "When we get this moment of political silliness behind us, we will get back on a track the world will respect and want to be part of," he said. 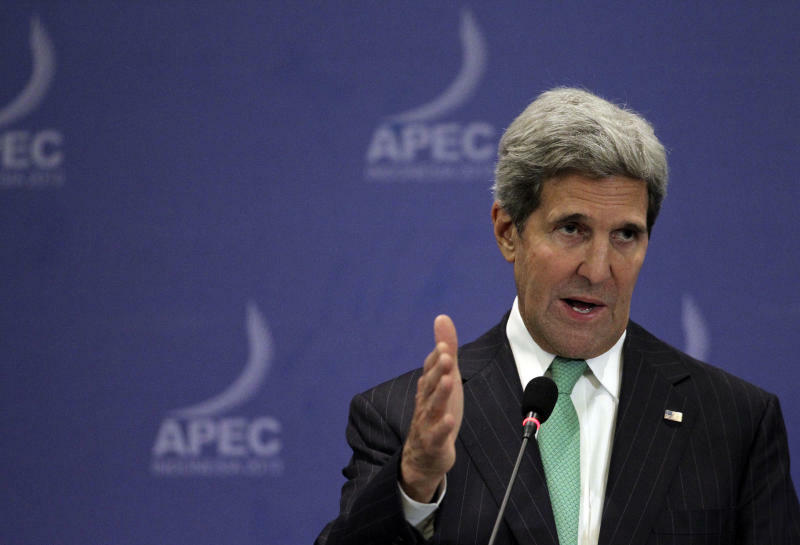 Starting on Monday, Kerry will be filling in for President Barack Obama at the APEC leaders' conference in Bali, followed by a summit of East Asian heads of state in Brunei and then official visits to Malaysia and the Philippines. Obama last week cut out his stops in Kuala Lumpur and Manila and was ultimately forced to cancel his entire Asian tour to deal with the shutdown. Some commentators have seized on Obama's cancellation as indicative of weakness and a sign that he is no longer committed to the so-called "pivot to Asia" that he embarked upon during his first term in office. And, his absence at the summits, has led to concern that the United States is no longer able to serve as a counterbalance to China's growing assertiveness in the Asia-Pacific. As Obama's Asia trip diminished and eventually disappeared, Chinese leader Xi Jinping was visiting Indonesia and Malaysia, where he pledged assistance and being was feted despite criticism of Beijing for its aggressive stance on territorial issues. Kerry rejected the notion that the shutdown and Obama's cancellation of his summit trip was a sign of presidential or overall American "weakness." 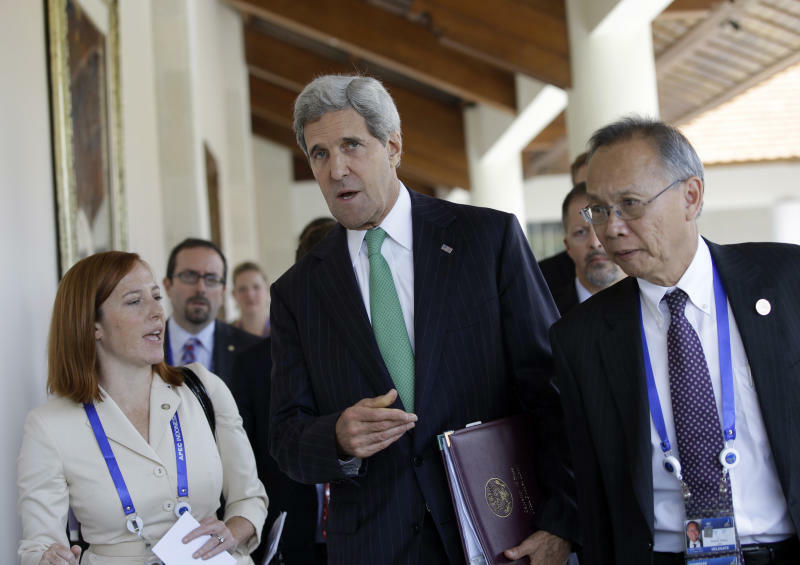 "I don't believe that anyone believes that this is a moment of weakness," Kerry said. "There isn't one leader here who wouldn't make the same decision if they had to the deal with a domestic challenge." He also pointed out that he had arrived in Indonesia after a visit to Japan, where he and Defense Secretary Chuck Hagel met with their counterparts and agreed to expand and modernize the U.S.-Japan joint security framework. He added that he would be spending nearly two weeks in East Asia on his current trip by the time it is over. "This is a momentary impact," he said. "Obviously, if it were prolonged or it were repeated, people would begin to question the willingness of the United States to stay the course or ability to, but that is not the case."